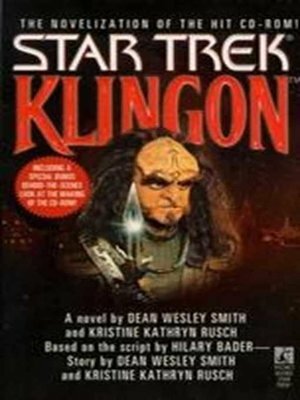 Pok is a young Klingon caught up in the dangerous complexities of clan politics. When his father is murdered in his own home on the day of Pok's Rite of Ascension, Pok must find the assassin and close the circle of vengeance. But as he searches for the truth amidst strange aliens and treacherous friends, Pok discovers that every day can be a good day to die and that only his own warrior's training stands between him and the business end of d'k tahg knife!